Food Stall For Rent. Low Rental! Tampines Industrial Canteen - Open For Public. Fitted. 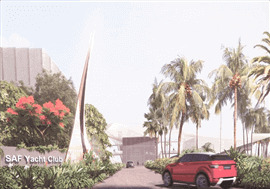 SAF Yacht Club is expanding and we have new and exciting Shops for rent - Bistro, Dessert Kiosk, Cafe, Sports Bar. Light cooking allowed. Various sizes. Contact Calvin 96415509, email : calvin@safyc.org.sg for more info. Aljunied Ave 2 New Renovated Coffee Shop For Take Over! Newly TOP B2 industrial building with CANTEEN for RENT ( for SALE ALSO) SHINE@TUAS SOUTH 11 TUAS SOUTH LINK 1 SINGAPORE 636901 *AMPLE PARKING *HUGE potential *Proposed Set-up 6+1 stalls *Canteen Renovation by Developer *Wide dual Frontage facing Main road *Floor to Floor Height : 6.65m. *Structural Floor Loading : 7.5kN/m2. *Power Supply : 250A-3phrase. owner is unable to manage due to other commitments and therefore letting go of the space. 1248 sqf. take over fee is negotiable. for enquires please contact 8777 4372. Fully fitted cafe text to view. 560 sqft . Can sit up to 30 pax grease trap exhaust all have. 1st shop of the building . Facing public carpark and the is multi car park. Less then 5min walk to taiseng mrt . Whole Coffeeshop To Take Over. Rental $30000 monthly for 10years. Contract to be sign with owners Take over at $500000. Fully equipped. Super flow of crowds for breakfast, Lunch and dinner. Hurry before taken. Been offered. Still waiting to be confirmed.. Deposit not taken yet. View to believed with yearly sales to proof GST registered for coffee stall. Business For Sale! Drinks Stall! Feel free to contact for more info.